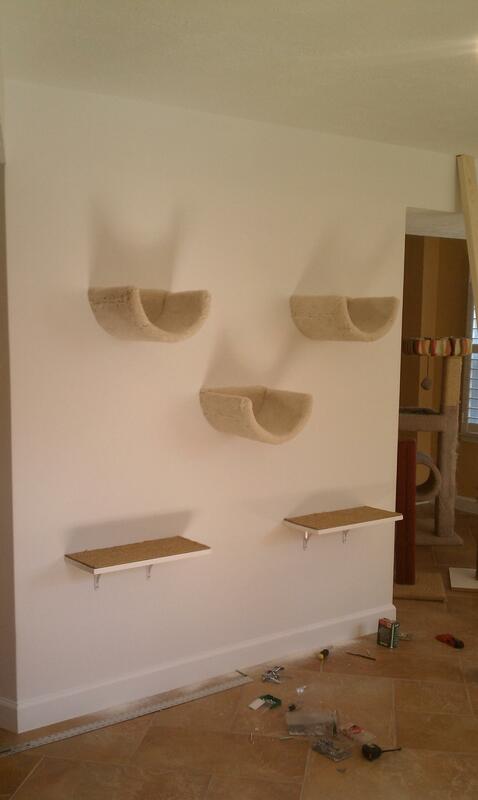 Climbing wall with scooped beds and shelves. 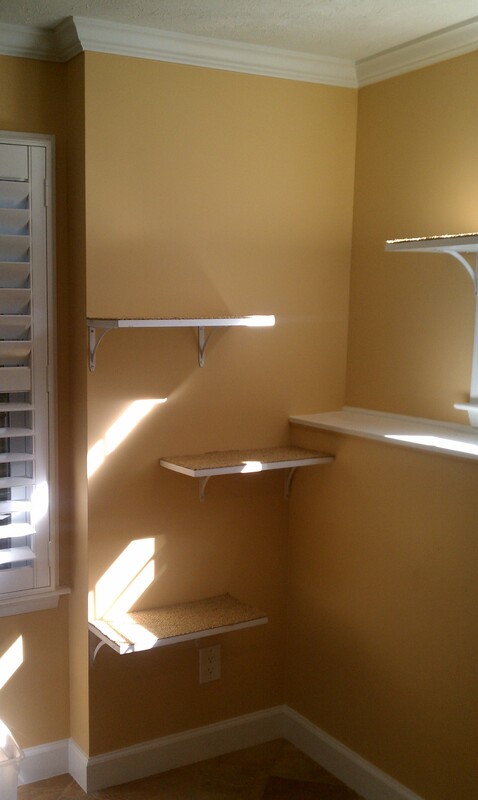 There were benches to be placed beneath the shelves to serve as the "first step" up. Corner area with sisal tread shelves leading to a wall of windows and a long sisaled run across those windows. 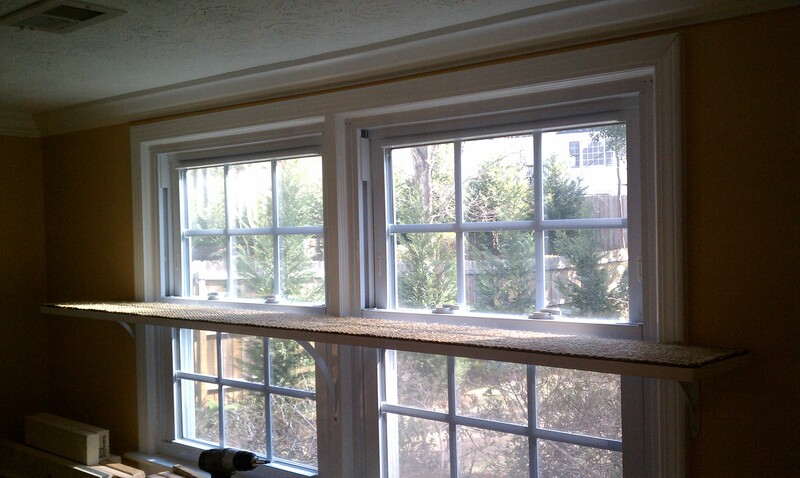 This allowed the cats easy access to an already in place wide windowsill for maximized bird and squirrel viewing! Here is the long run allowing multiple cats to view out the window simultaneously. Some can sit on the sill and some cat perch higher up on the sisaled run.